If you want a great Urban skate without a giant price tag, then the Rollerblade RB 80 Urban Inline Skates. These skates are built with a vented and molded shell that ensures they are stronger but still allow some air to flow through so your feet stay cool and comfortable during your skating. The RB 80 features a Performance liner that will offer plenty of comfort and there is a shock absorber to ease the burden of hitting those hard landings. There is an aluminum frame that is very strong giving excellent energy transmission so you get up to speed to launch off steps or make super tight turns around corners. If you are cruising to work or school or just need to skate across town to meet friends the Rollerblade RB 80 Urban Inline Skates are a great option. 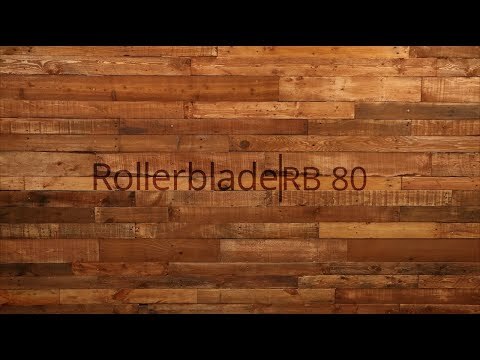 Rollerblade RB 80 Urban Inline Skates. Hi I'm new to inline skate and this are my first skates. I have been using my skates for the past 2 weeks so far there great. They're comfortable fast and light. No complaints here. If you have wide feet then these are for you. The liner feels like its made just for my feet, comfortable yes. Buckles are great. Boot is sturdy. Q: how much weight can this blade support? A: Yeah, the regular axles (not the brake axle) are all one way axles meaning that they have the allen only on one side as the other is actually threaded and goes into the axle on the other side. The brake axle has an allen on each side as it helps attach the brake apparatus on the rear of the skate. Q: I've recently tried on the Rollerblade Zetra fitness skates but decided to go with urban skates after doing more research. 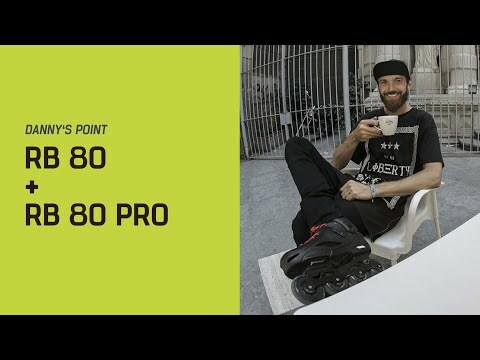 Do all rollerblade sizes fit similar? My actual size is 7 and the blade I tried was 8, which was too big and wobbly so I'm deciding to go down a size for these. Also, What are the exchange fees and shipping if I choose to expedite my first shipment (1-5 business days) and need to change sizes and wish the new pair to be shipped within 1-5 business days as well? A: For Twister Edge, Twister and Maxxum skates Rollerblade recommends going a size up, for all other models you will want to go with the same size as your standard shoe size. This skate, the Rb 80, can be taken the same as your standard shoe size. For all the shipping related questions please contact customer service via phone. We do offer a guaranteed fit program where you can buy several pairs of skates and send back whatever sizes/models don't fit right. Search "guaranteed fit program" in the top site search bar to read more about this program, could be a good way to go if you are unsure on your size. Q: Hi! what tri-skate frame will fit the RB 80? Thx! A: The Rollerblade RB-80 is 165mm mounting and will accept frames with this mounting option. I'd recommend the Rollerblade 3WD Urban Skate Frame which comes with the wheels and bearings all set ready to go. Q: Are there any upgrades from the 2017 version other than the colors? A: No, there were no real changes to the guts of the skates this year.